24-year-old goalkeeper Geronimo Rulli has been outstanding for Real Sociedad while with them on loan for the past two seasons – and his excellence has not gone unnoticed by Man City’s manager Pep Guardiola. 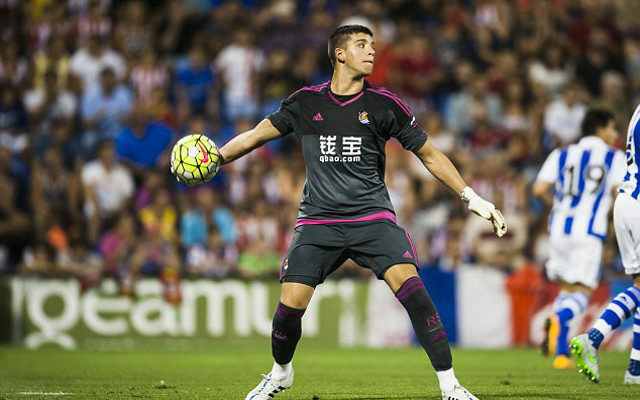 According to Sun Sport, Rulli has agreed to sign with Man City after snubbing Real Sociedad at the last minute to make the switch. Per the source, Man City offered to pay his parent club Deportivo Maldonado a fee of £9 million to bring him to Etihad Stadium – a big increase from the £6 million offered by Real Sociedad for a permanent switch. The Sun added that if and when the deal is completed, Man City will send Rulli back to Real Sociedad on a loan spell while they continue to keep Joe Hart in the net. Manchester City have already added Ilkay Gundogan from Borussia Dortmund, Aaron Mooy on a free transfer, Nolito from Celta Vigo and Oleksandr Zinchenko from FC Ufa.